the adventures of tartanscot™: "They're Coming . . . "
OMG - OMG - OMG . . . it's only 18 more days until 4th season of Mad Men starts. (and you should be able to clearly visualize 'tartanscot' jumping up and down with excitement.) And blessedly, the Mad Men Season 3 DVD collection arrived late last Thursday afternoon - and was the entertainment for a great deal of my July 4th weekend. Many of you know of my obsession with 'directors commentaries,' and the DVD collection is practically oozing with them. Now I'm feel I'm all ready for the new season . . .
Don Draper (Jon Hamm) in season 4 of Mad Men. And all praise to Joan Harris portrayed by Christina Hendricks. She might be my favourite character on the show . . . who's yours? And what will become of the radiant (and emotionally stunted) Betty? 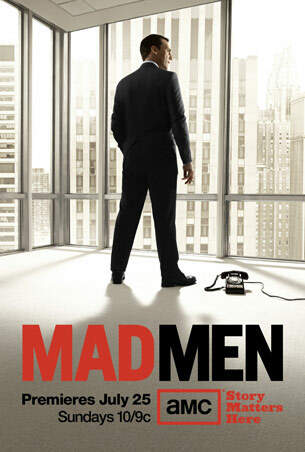 "The Mad Men are coming. Look busy." *and the theme song begins . 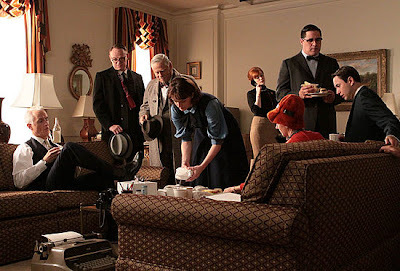 . .
images from the Mad Men Website. Poor Henry - trapped on a transcontinental flight with what I am sure will be a screaming infant . . . lol. 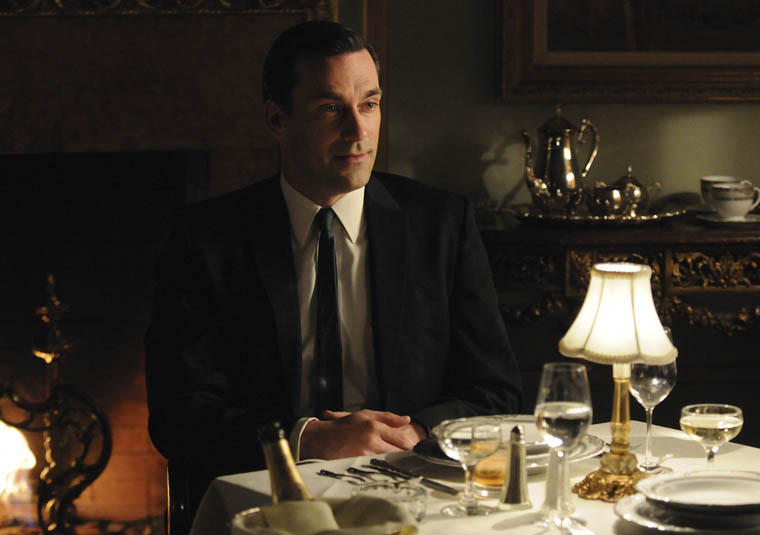 And I'm excited to see "Sterling/Cooper" a little more on a scrappier side of business . . . If nothing else - the art direction ALONE is worth watching . . . Right there with ya! Just received notice that my girdle from Lady Grace has been shipped and will be here in time for the premier party!!! Hello vintage wiggle dress a la Mom. D.B. - excellent! I might need pictures of this! Without a doubt, it is the best written and directed show on television that I know of. 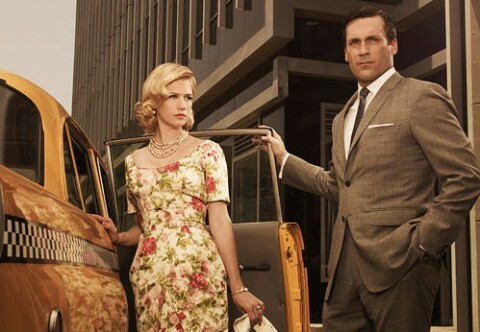 Mad Men is why I have cable! totally counting the days . . . So excited and it is Don Draper for sure. The entire cast is so talented though! Who's my favorite? Don Draper, of course. As a designer I love the shows sets but as a woman, ooh-la-la Don!! I have only seen it once and loved it. They had a meeting having Bloody Marys in the same EXTRA-TALL vintage silvered glasses I always feel are slightly dangerous for even a tall drink. I should get the first seasons on Net Flix, and I must add the show to my TIVO.